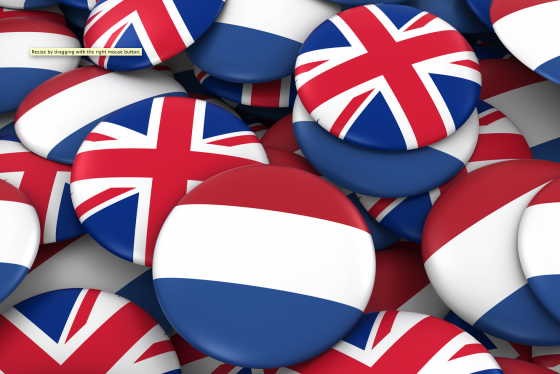 With European leaders due to meet in Brussels next month, the time is right to press on with negotiations on the UK’s withdrawal from the European Union, says ambassador Peter Wilson says in an open letter to British nationals in the Netherlands. On 14 and 15 December the leaders of the European Union member states will meet in Brussels for the December gathering of the European Council. The council comes together after months of talks which have generated a huge amount of media reporting and comment. It is our firm belief that the time to move on to the next phase of negotiations is now. I have met many British nationals across the Netherlands during our open forums, and I know that they are uncertain and worried about the consequences of the UK’s departure from the European Union. I want to be able to offer as much certainty as possible both to British nationals and to businesses here in the Netherlands. For that reason it is essential that we get on with discussing our ambitious future partnership with the EU. Many fellow Brits here in the Netherlands will have been following the developments closely and with great interest. During our open forums we heard first hand about your worries, concerns and uncertainties on a range of issues. We have summarised the points raised during the open forums here, and shared them with both the British and Dutch governments. I understand these concerns and the uncertainty you feel, and have promised to keep British nationals in the Netherlands informed about progress on the issues that affect you. Before negotiations began, the British Prime Minister made it clear that her first priority was to provide certainty for UK citizens in the EU, and EU citizens in the UK. We want citizens in both the UK and the Netherlands to be able to continue to live their lives as they do now. That has not changed, and I feel that its importance has been reflected in the progress made in the course of the negotiations. While there is still work to be done, we have come a long way. More than two thirds of the issues have been resolved, including vital questions of residency, healthcare, and pensions. As the prime minister has said, we are within touching distance of an agreement on this key issue. This is not an easy negotiation. The stakes are high on both sides, above all for the millions of citizens wanting to know how their lives will be affected. The UK is wholeheartedly in engaged in trying to secure a deal. But that is not just up to us: it needs agreement from all 28 European Union leaders. Succeeding in these negotiations is in all of our interests and the best way to deliver certainty and prosperity for all our people. Peter Wilson is the UK’s ambassador to the Netherlands.